Tonight, Kevin Moore and two members of Cop Watch from Ferguson, Missouri – Chad Jackson and Tony White – were arrested tonight, in Baltimore. Kevin Moore’s footage of Baltimore Police’s actions that day went viral, touching off protests for a week in Baltimore prior to Freddie’s funeral, and have begun sweeping the nation since then. Kevin claimed that the police had been harassing and intimidating him after he went public with the footage. Chad Jackson and Tony White – have been arrested tonight in Baltimore. Chad was in Baltimore from We Cop Watch Ferguson, “to help folks on the ground in Baltimore with Cop Watch efforts,” according to Jacob Crawford of Cop Watch. …Moore explained that he had already spoken at length with two detectives in the Police Department’s Office of Internal Oversight and given them his video of the incident. But the police posted his photo and told the public that he was “wanted for questioning” and asked people to identify him. But they already knew who he was. What were they trying to prove, or was this all about harassing him? Tonight, the Baltimore Police answered that question for us. They arrested Kevin Moore who was with two members of Cop Watch. Moore explained that Gray was a friend of his and he has to speak up. What can you to do help Moore, Chad Jackson and Tony White who were arrested with him? 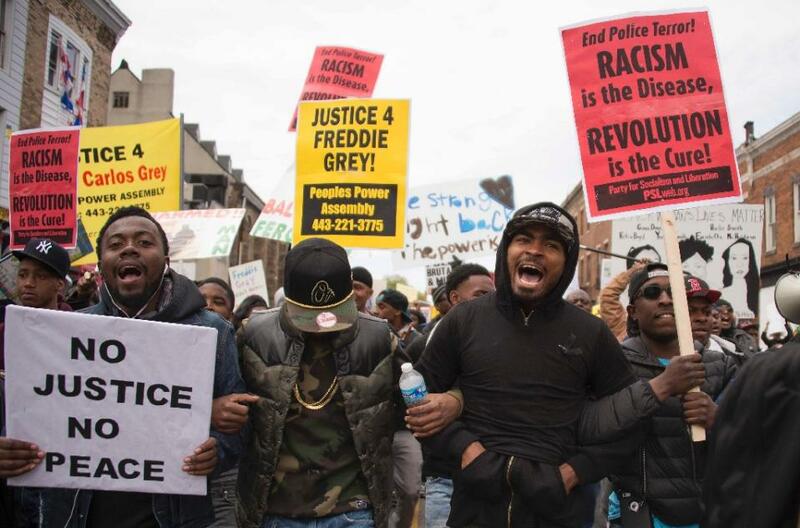 Call the Baltimore Police Department at (410) 545-8122 and demand that they release these innocent men now! Then help us SPREAD THE WORD! This entry was posted on May 1, 2015 by ThePeaceresource.com in Activism, Civic Engagement, Corruption, death, freedom, Graft, humanrights, justice, murder, organize and tagged activism, attacked, attacks, civil rights, communication, Community, corruption, cowardice, death, freddie gray.